What is the Online Forex Trading Market? The foreign currency exchange market, also known as forex market, or FX, is the biggest market in the world. In the Forex Market money is bought and sold between different foreign currencies all the time. In this market, there are several major and minor currencies being traded. The Market has been around since the 70's and has recounted many changes and shifts until the present day. Online Forex is the best and most profitable market to invest in because of its freedom from outside control and regulations and because no other market offers that kind of free competition. 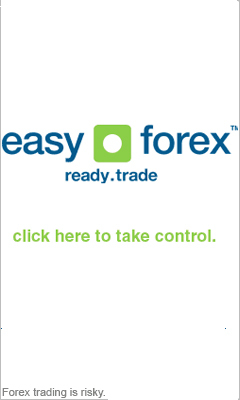 Each day over 1.5 trillion dollars are traded in the online Forex market. The foreign currency transactions are done 24 hours a day through the internet and all over the world. This means that fxinfo.com is available for you all day long. What does it mean to trade online forex? Trading in the online forex means that when you investing forex, you are buying one currency and simultaneously selling another currency. For example, you're buying 500 $ and selling that equivalence in Japanese yen. Then, if the dollar's worth rises in comparison to the JPY, you will make a profit. On the other hand, if the yen rises in value in comparison to the USD, you will have loses. This way, if you manage to predict which currency will rise in value, you will be able to make profits in online forex without difficulty. Before you start trading, get to know more about various concepts critical for online Forex investing such as the margin. Why do prices of foreign currency change? The forex currencies keep changing from various reasons, starting from fluctuations in economic conditions up to political instability or change in interest rates. These changes should be monitored by the wise investor and given into account while investing in forex online trade.